Used as a base under roadways, retaining walls, and parking lots. This coarse material is sourced from crushed recycled concrete. Ideal for various applications such as drainage, road base, pipe embedment, back fill, and paving. Concrete is a great material to recycle. During demolition, old concrete structures were often broken down and deposited in landfills. Today a great deal of concrete is recycled through the use of crushing machines. This 100% recycled, green material is ideal for drainage, pipe embedding, and back fill applications. 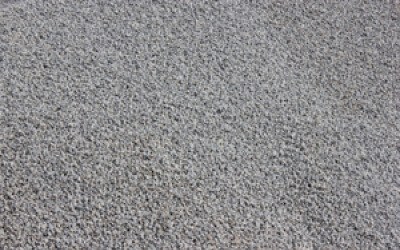 Recycled Concrete is also growing in use as a road base or in paving applications. Concrete rock comes in a huge variety of sizes from Riprap to small gravels. 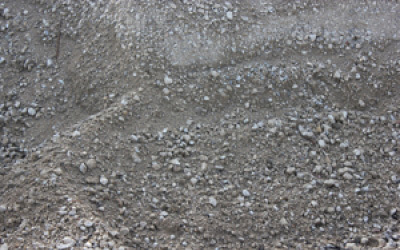 Some Recycled Concrete is also used in the production of asphalt and other aggregates. – has a variety of sizes and uses. – is affordably priced and readily available. – is durable and performs well. Recycled Asphalt is a budget material made from reclaimed asphalt. 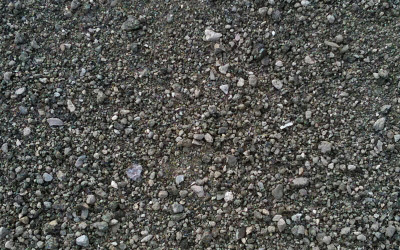 This gravel is small in size, and grayish-black in color. It’s suitable for driveways, parking lots, and filling holes. Recycled Asphalt is also used in road construction and embankments.